It wasn't only me who was born in Mumbai, but also the idea of the book and the film Midnight's Children, says Salman Rushdie. The author and filmmaker Deepa Mehta speak to Sonil Dedhia in the city where the story began. "It always feels good to be in Mumbai," says Salman Rushdie. And you only have to take a look at the big smile on his face when he says that to know he means it. The novelist is currently in India with filmmaker Deepa Mehta to promote the film Midnight's Children based on his Booker Prize-winning eponymous novel. Rushdie and Mehta discuss why Midnight's Children, which marks Rushdie's debut as a screenwriter, has been an exhilarating experience. Sir Salman Rushdie, you have come to Mumbai after a long time. What are the things that you miss about this place? It wasn't only me who was born here, but also the idea of the book and the film. I always had an idea of writing a novel on childhood that would draw my memory of childhood in Mumbai. It got a little out of hand and got big, but that was the germ of the book. One thing that I have always thought about Mumbai is that the secret of the city lies within its people. There are cities that are more beautiful than Mumbai, but I really miss the people of this city. I have a lot of friends who I don't meet very regularly. My friendship has stood the test of times so whenever I come here, I really enjoy connecting with my friends and other people. I don't care about going for sightseeing and I am very bad at shopping (laughs). Talking about the film, it is opening in more than 50 countries but I feel really special about coming to Mumbai with this film. In many films that are adapted from a book, the symbolism is often lost. How did you retain that element in this case? Rushdie: I have seen a lot of films in my life and for me to write the screenplay the best thing I could possibly do is to close the eyes and run the movie in my head and then write it down. Saleem Sinai narrates the film, and the narration is not there just to tell you here is what you are about to see. It will be stupid to do that. The narration adds another layer of the characters, dealing with the reflection and contemplation. I hope that it works in the way we have done it. Mehta: The film is about a gesture and not about saying it. It's about the performance or the lighting in a particular way. What was very interesting was that the film is not dialogue heavy; it is very sparse. This approach gave a lot of weightage towards the performances. There are so many little moments in the film, which are so beautiful and fascinating. 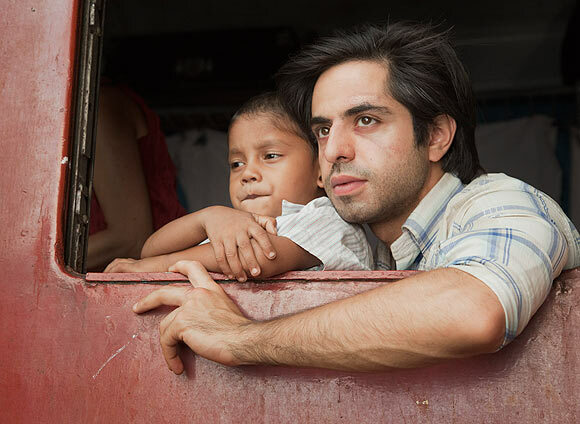 With this film, I realised that it is not necessary to always have heavy dialogues to convey a message. How difficult was the process of converting a 600-page book into a script? Rushdie: The novel is deliberately digressive. In a movie you have to find that true line that will grab the audience at the very beginning and keep the attention at all point of time. You have to take the audience through the journey without raising any doubts in their mind about anything. The first draft of the film was 250 pages, which was absolutely ridiculous. It would have been a four-and-a-half-hour film. There are many parts of the novel, which were not essential to the film. It was really tough to eliminate things. It was a long and difficult journey to make this movie. How significant is this film in your lives? Mehta: The reason the film has a certain presence in my life is because it's a search for a family, a search for identity, a search for home. The film was like a double whammy because it also depicts the time when India got its independence, the nation got an identity. Being an NRI, I have been obsessed by the feeling of where my home is, whether I am Indo-Canadian, or a Canadian, so it gets very complicated. 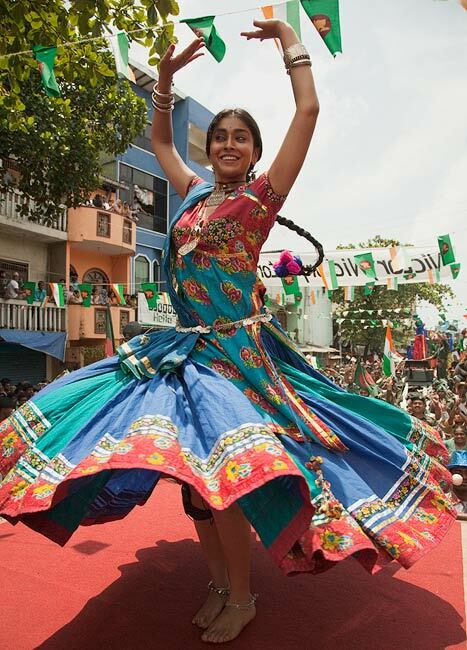 Rushdie: It just struck my mind that the film embraced the people from the Indian community residing all over the world. Deepa stays in Toronto, I stay in New York, Satya Bhabha (who plays Sinai) is from America, Anita Majumdar, who is a wonderful actress, is based in Canada. The major cast belongs to India and Nitin Sawhney, who has done the music for the film, is based in London. All of us have a strong India connect and it was like India and the Diasporas was somehow able to come together. It felt like a nice thing. Ms Mehta, was it daunting to manage such an ensemble cast? Did you strictly follow the script or allow the actors to improvise on the sets? Every character in my film, irrespective of screen time, has a beginning, middle and an end. All the actors who have been a part of this ensemble cast have made my life so much easier. I am proud of each and every one. One of the biggest reasons that I really wanted to do this film was because the book has such strong women characters. Each and every woman in this book has an inspiring story and tells us about Indian womanhood. For me as a film director, one of the most infuriating things is when an actor on the sets comes and asks me, 'Just stop, tell me what my motivation to play this character is.' This is what needs to be worked out before you start doing the film. My intention of the workshop was so that the actors could be well prepared. Film is about the environment, the clothes one is wearing or the interaction between the characters. There were times when the actors would come up to me and give me suggestions, and I was open to discussion. I was not open to long discussions because that would be a waste of time, but if any actor had something that was instinctive it would be very stupid on my part to disregard it as that is where the magic would happen. 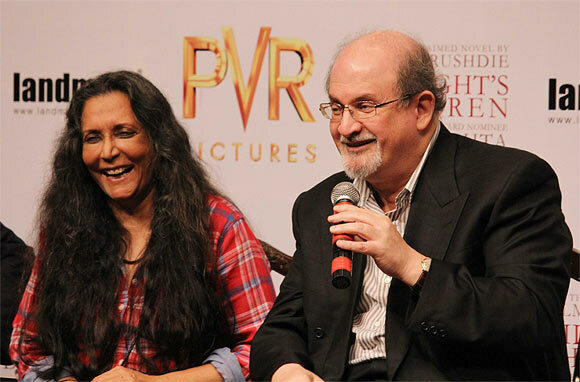 Not many know that Sir Rushdie is also playing Saleem Sinai in the film. Could you tell us more about it? 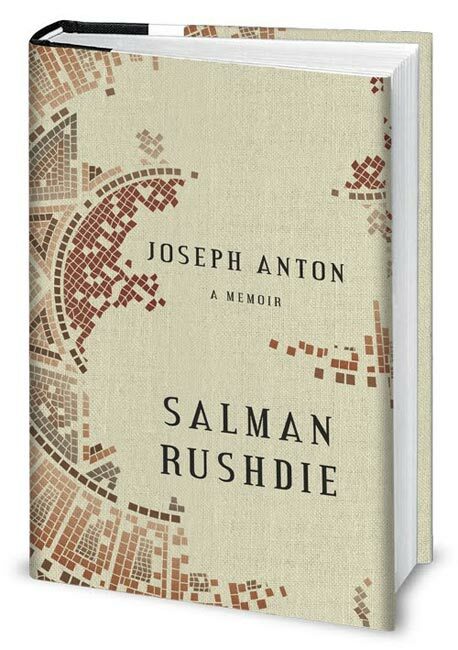 Rushdie: We have three people playing Saleem Sinai. We have Darsheel Safary playing the young Saleem and then Satya Bhabha who play the older one. The novel came out in 1981 when Saleem, who was 31, was narrating the story of his life till that age. But now 32 years later, Saleem would be somewhere around 65, who is still narrating the story up till the age of 30 in the film. So, we thought it would be wrong for a 30-year-old actor to do that, as it would look funny. This is why we thought we needed a third Saleem and that is how I got cast in the film. I did not decide to become the narrator, but it was Deepa who insisted. I will not be seen in the film. I am just doing the narration. Mehta: I felt it is right because an overview (of the story) was very important with respect to today's time. I tried a lot of actors to do the voiceover for the film, but I couldn't find the authenticity of the voice that is so beautiful in the book. Rushdie: Actually, I wanted to act in the film. Years ago, I had thought if there is ever a movie on Midnight's Children, I wanted to play the part of the fortune teller. It was my secret fantasy. Since I had written the novel, I thought it would be fitting for me to play the role. I mentioned this to Deepa and she instantly told me that you are part of the cast. After a while I had big second thoughts. The scene was a little disturbing and the emotional centre of the scene belonged to Amina, who is Saleem Sinai's mother (Shahana Goswami) and I didn't want the audience to suddenly say, 'Isn't that Salman Rushdie?' (laughs). I didn't want to take the limelight. Ultimately, the scene never made it into the film. Ms Mehta has also made you sing in the film, Sir Rushdie. Tell us about this unusual experience. It was an absolutely shocking moment when Deepa asked me to sing in the movie. It's for a brief moment, but I wasn't ready for it at all. A few years back, I was invited on stage with the band U2. There were 85,000 people present in the arena and it was a little daunting for me to face so many people. My son was with me as an audience in the first half of the show. I was called to the backstage just before the start of the second half. As I was leaving to go towards the backstage, my son came up to me and told me, 'Dad, just don't sing.' (Laughs). How often did you visit the sets, Sir Rushdie? I decided not to go for the shoot. I was busy writing my memoir Joseph Anton. The other reason was that I was worried that if two people are sitting side by side, trying to make a film it can be confusing. It is confusing for the actors, the technicians. 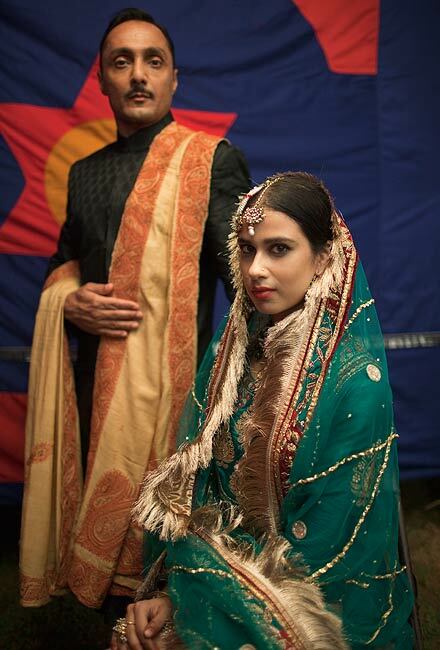 I wanted the film to be the way Deepa had envisioned it. Speaking of Joseph Anton, has it taken a lot of weight off your shoulders? It's a very heavy book. I have been with the book for the last 30 months, and I have told many of the journalists who interviewed me that this is the last time they get to speak to me about my life because in future if any of them ask me about my career and my life, I would hit them on their face with the 600-page book. To answer your question, I do feel there is some kind of weight, which is off my shoulder. The reason why it is called a memoir and not a biography is because it tries to focus on a particular incident in my life. The life of writers is not very interesting and I, unfortunately, acquired an interesting life, and I thought I should tell it to everyone. Both of you have spoken about the cultural emergency in India -- the protests that are happening against the writers and filmmakers. Do you think filmmakers, writers, and intellectuals make for soft targets when it comes to cultural intimidation? Mehta: Yes, you are absolutely correct. We have been at the receiving end for a long time. I had faced it in 2000 when I came to Varanasi to shoot Water. After many protests and threats of violence from various political and religious parties, the filming was stopped before it ever really had a chance to begin. It's a real pity. I was at the Jaipur Literature Festival and was having a conversation with Ashis Nandy about who is now facing a controversy of his own about whatever was happening with Kamal Haasan's film Vishwaroopam. It's like 14 people can actually dictate what the fate of a film or a book is. It is completely incomprehensible. Rushdie: (In jest) I have never faced such kind of an experience at any point in my life. I really sympathise with people who are facing these issues.